When the 103rd annual meeting of the Pacific Branch of the Entomological Society of America (PBESA) takes place March 31-April 3 in the Hyatt Regency Mission Bay Spa and Marina, San Diego, something very special will happen. Native pollinator specialist Robbin Thorp, UC Davis distinguished emeritus professor of entomology and a global authority on bumble bees and other native pollinators, will be honored at a special symposium being planned by his colleague, pollination ecologist Neal Williams, professor, UC Davis Department of Entomology and Nematology. The event is set for Tuesday afternoon, April 2. “The symposium will include scientific contributions from leaders in the fields of bee ecology, conservation and pollination,” announced Williams. “All are individuals whose work and specialty have been influenced by Robbin and his research program." Heidi Dobson, Whitman College, Walla Walla, Wash.
“The symposium will be followed by a social time during which hope to share our gratitude with Robbin for his lifetime of work, mentoring and friendship,” Williams said. Thorp, a member of the UC Davis entomology faculty for 30 years, from 1964-1994, achieved emeritus status in 1994 but has continued to engage in research, teaching and public service. 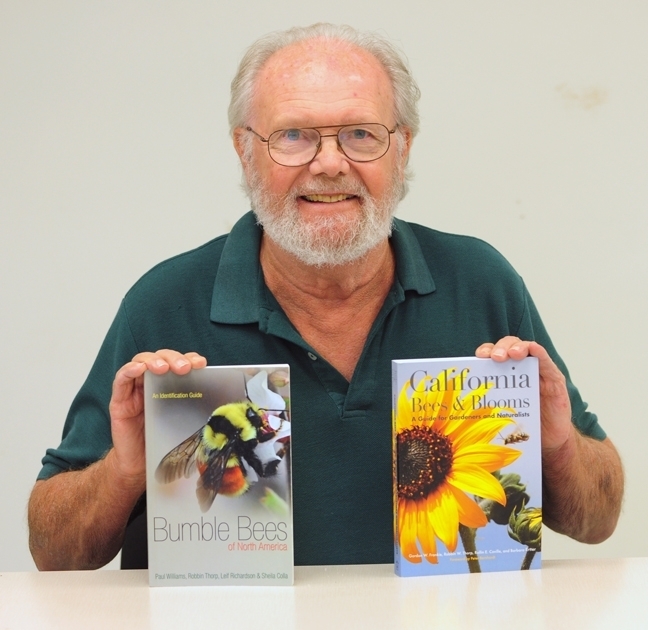 In his retirement, he co-authored two books Bumble Bees of North America, an Identification Guide (Princeton University, 2014) and California Bees and Blooms, A Guide for Gardeners and Naturalists (Heyday, 2014). Thorp, a tireless advocate of pollinator species protection and conservation, is known for his expertise, dedication and passion in protecting native pollinators, especially bumble bees, and for his teaching, research and public service. 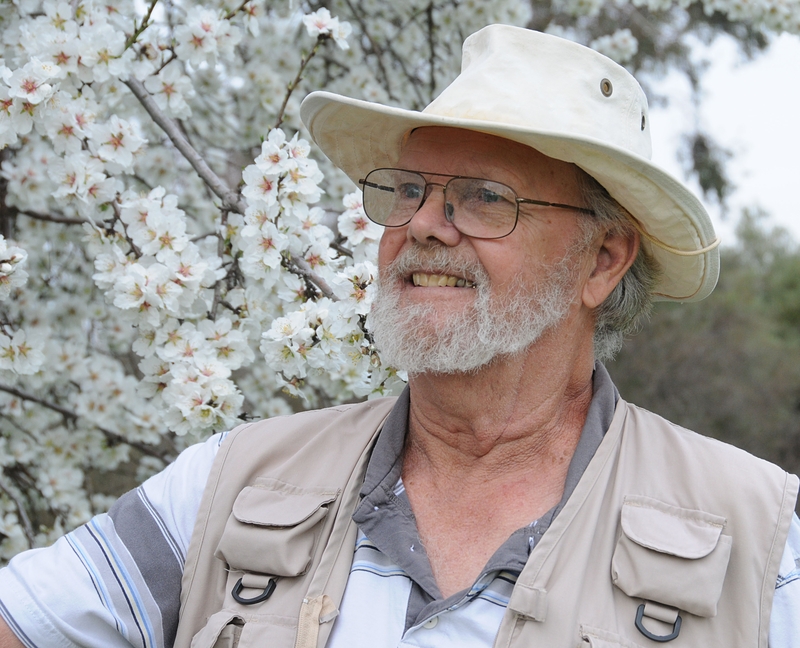 He is an authority on pollination ecology, ecology and systematics of honey bees, bumble bees, vernal pool bees, conservation of bees, contribution of native bees to crop pollination, and bees of urban gardens and agricultural landscapes. He is active in research projects and open houses at the Bohart Museum of Entomology. Thorp received his bachelor of science degree in zoology (1955) and his master's degree in zoology (1957) from the University of Michigan, Ann Arbor. He earned his doctorate in entomology in 1964 from UC Berkeley, the same year he joined the UC Davis entomology faculty. 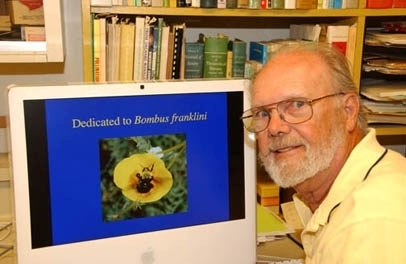 He taught courses from 1970 to 2006 on insect classification, general entomology, natural history of insects, field entomology, California insect diversity, and pollination ecology. 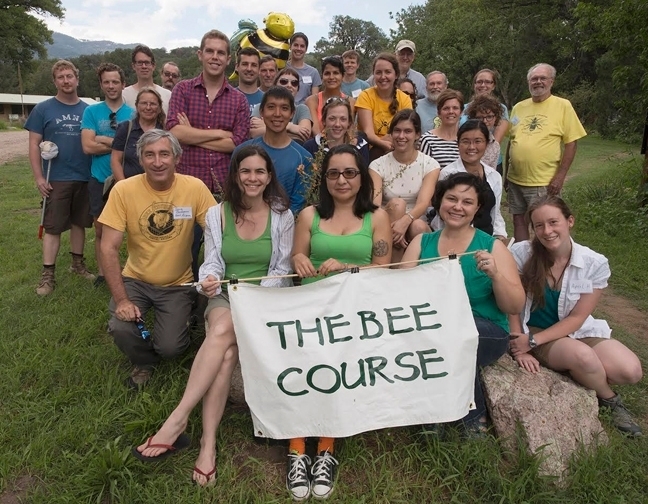 Every summer since 2002, Thorp has volunteered his time and expertise to teach at The Bee Course, an annual workshop sponsored by the American Museum of Natural History and held at the Southwestern Research Station, Portal, Ariz. The intensive 9-day workshop, considered the world's premiere native bee biology and taxonomic course, is geared for conservation biologists, pollination ecologists and other biologists who want to gain greater knowledge of the systematics and biology of bees. 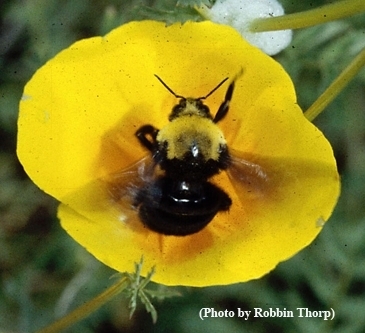 An authority on Franklin's bumble bee, Bombus franklini, Thorp has monitored the bumble bee population since 1998 in its narrow distribution range of southern Oregon and northern California. He has not seen it since 2006 and it is feared extinct. In August of 2016 a documentary crew from CNN, headed by John Sutter followed him to a meadow where Thorp last saw Franklin's bumble bee. He wrote about Thorp, then 82, in a piece he called "The Old Man and the Bee," a spinoff of Ernest Hemingway's "The Old Man and the Sea." Thorp was instrumental in placing the bumble bee on the Red List of Threatened Species of the International Union for Conservation of Nature and Natural Resources (IUCN). Long active in the North America IUCN Bumblebee Specialist Group, Thorp served as its regional co-chair, beginning in 2011. Thorp was named a fellow of the California Academy of Sciences, San Francisco in 1986; recipient of the Edward A. Dickson Emeriti Professorship of UC Davis in 2010; and recipient of the UC Davis Distinguished Emeritus Award in 2015. Other honors include: member of the UC Davis Bee Team that won PBESA's Team Award in 2013. In addition, he is a past president (2010-2011) of the Davis Botanical Society, and former chair (1992-2011) of the Advisory Committee for the Jepson Prairie Reserve, UC Davis/Natural Reserve System. 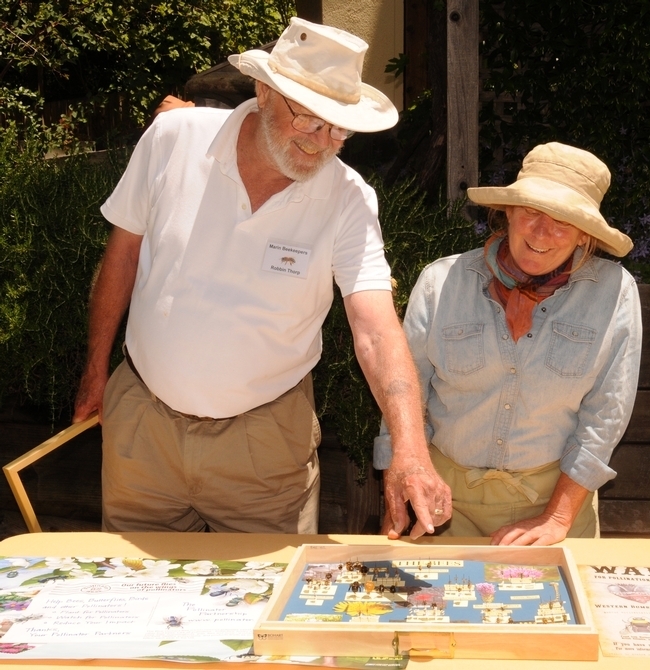 Since its inception, Thorp has been involved in the Häagen-Dazs Honey Bee Haven, a half-acre bee garden on Bee Biology Road operated by the UC Davis Department of Entomology and Nematology, installed in 2009. To establish a baseline, he began monitoring the site for bees in 2008. He has since detected more than 80 species of bees. Thorp has identified thousands and thousands of native bees for scientists, citizen scientists, and the general public, in addition to his other work involving research, teaching, mentoring and public service. And now he will be honored at a special PBESA symposium. PBESA encompasses 11 Western U.S. states, plus several U.S. territories and parts of Canada and Mexico. It's an honor well deserved.